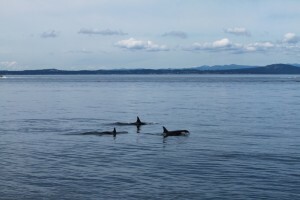 For the last few days of July, and the first few days of August the Southern Residents made fleeting appearances in the Salish Sea, and now it appears they are at it again. I was beginning to rely on the constant comfort I had knowing that the whales could pass the lighthouse at any time… It makes everything during the day so much more exciting when there is the prospect of whales. 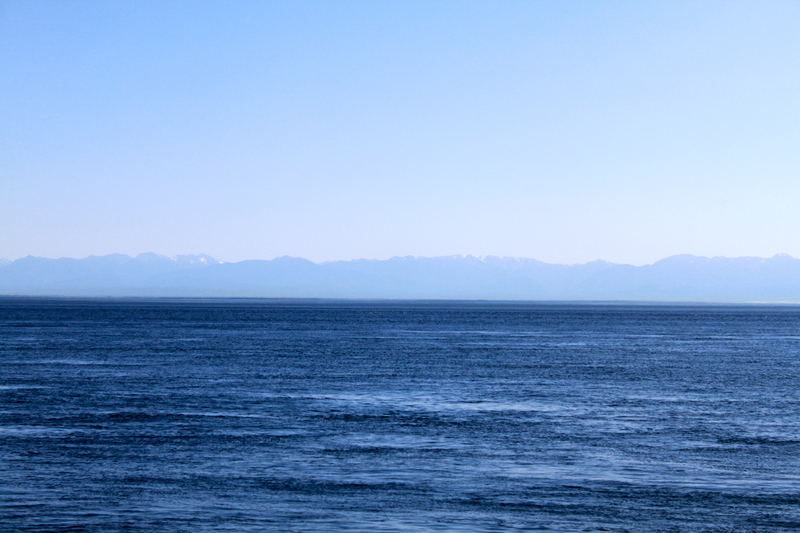 One good thing that has come from the whales’ drawn out absence is that I have been able to re-focus my appreciation on the beauty that is San Juan Island.Today I have directed my focus to the ever-majestic Olympic Mountains. 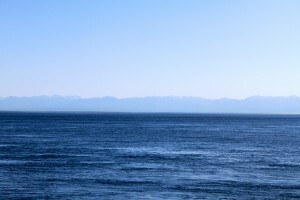 The sun is shining down on the snowy peaks that tower above the Strait of Juan de Fuca’s blue-green waters. 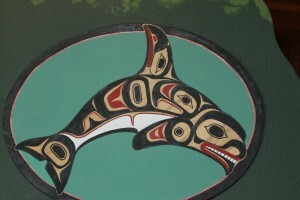 The view in front of me is something most seen on the front of postcards, and although there may not be orca whales in my midst, I am constantly surrounded be the natural beauty of the Salish Sea and the San Juan Archipelago. Often when orca whales pass Lime Kiln Lighthouse they are just cruising by, traveling either north or south, most likely in search of Chinook salmon. No matter how often these “passbys” occur, they are always exciting, especially if you have been waiting for the whales to swim your way all day. But every now and then there are the special occasions, that have all the qualities of a dream, when one or two, sometimes even 20, orca whales glide through the kelp beds just beyond one’s reach…These moments, even after being in the presence of orcas for almost 4 months, never fail to lose their eerie luster…My first “close” encounter with the Southern Resident Orcas was earlier this summer. 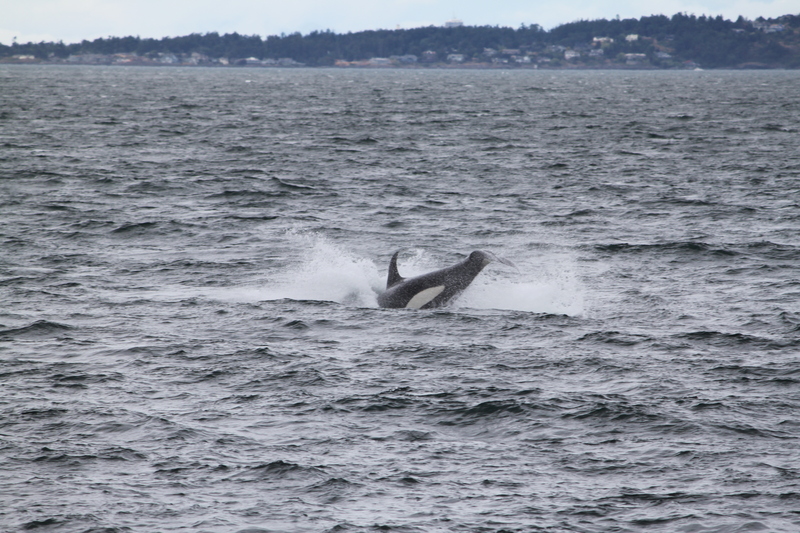 L Pod had finally returned to the Salish Sea, and I was especially eager to have an encounter with their newest member, L113. Almost all 40 members passed the lighthouse, but about 5 came around the corner out of Deadman’s Cove unbelievably close to the shoreline. 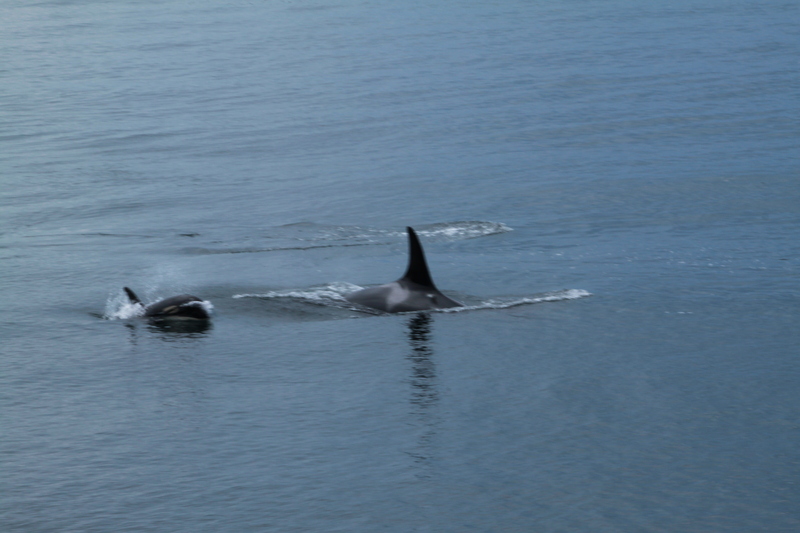 L41, Mega and two other females along with L113 and mom L….. It took my breath away to see them so close. It seemed as if I could reach out and almost touch them. The animals crisscrossed back and forth in the water, and the new calf lunged through the water in the middle of all of them. As they passed the lighthouse they veered into Lime Kiln Bay. 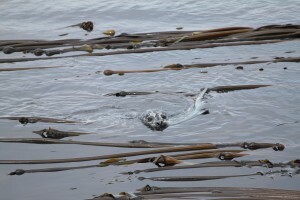 At first it appeared that they were only frolicking in the kelp beds, but a few tail slaps, one breach, and a spy hop later, I was getting the inkling that this was no ordinary play session. After watching the group of whales behavior for at least 20 minutes I started to think that I was actually witnessing a lesson on foraging, catching Chinook 101 if you will? Whether or not this was actually what the whales were up to, it was an amazing encounter. And still is one of my favorites of the summer. Before I knew it the whales were surfacing just off shore… The calming “swoosh” of their blowholes filled my ears. It was members of J Pod! A few of the whales blew past the lighthouse, but some select whales stuck around and took up milling. After a few minutes of behavior observations, I noticed a silver streak breaking the surface of the water out of the corner of my eye. I pulled out my camera, sensing that whatever the streak was would reappear. Sure enough it did, but this time it was in the mouth of a harbor seal! 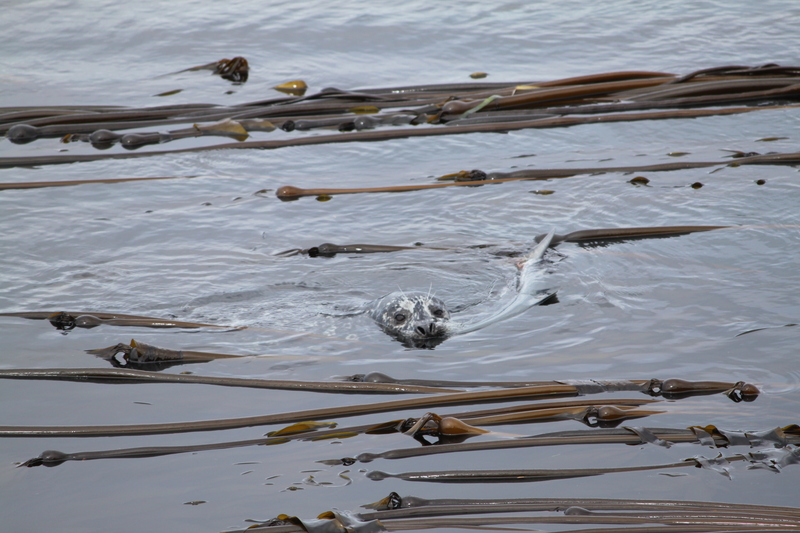 The seal, cleverly tucked into the kelp beds, stuck its head out of the water to proudly show off its latest catch, a huge Chinook salmon! At first I wasn’t positive that the salmon was a Chinook, until I got a glimpse of the big, black mouth that Chinook salmon are notorious for. I took picture after picture, and dive after dive, the seal would reappear in the same spot showing off less and less of its devoured meal each time. Just when all that was left of the Chinook was pink flesh and the seal’s pride was at its peak, a bald eagle swooped in for the steal… Luckily the seal was fast and dove down right as the eagle was readying its talons. The scene reminded me of something that would be featured in an episode of Planet Earth. I felt very lucky to be able to witness such a wild interaction between three animals that frequent Lime Kiln Lighthouse in the summer months. What a good reminder of how all organisms in the Salish Sea are connected, and that most all of them, in some way, depend on the salmon runs just as the Southern Resident Killer Whales do. When I looked back to the whales, I was happy to see they were continuing their behavior pattern, which one could guess by the presence of Chinook was foraging! It always gives me a good feeling to know that the whales are finding food, especially since limited availability of prey is such a threat to their recovery. 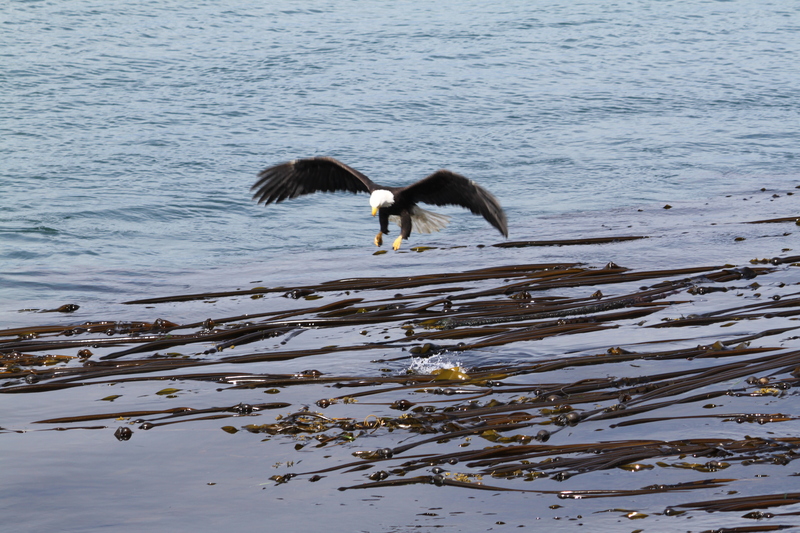 I can’t wait to have more incredible encounters like this one my summer on San Juan Island continues! 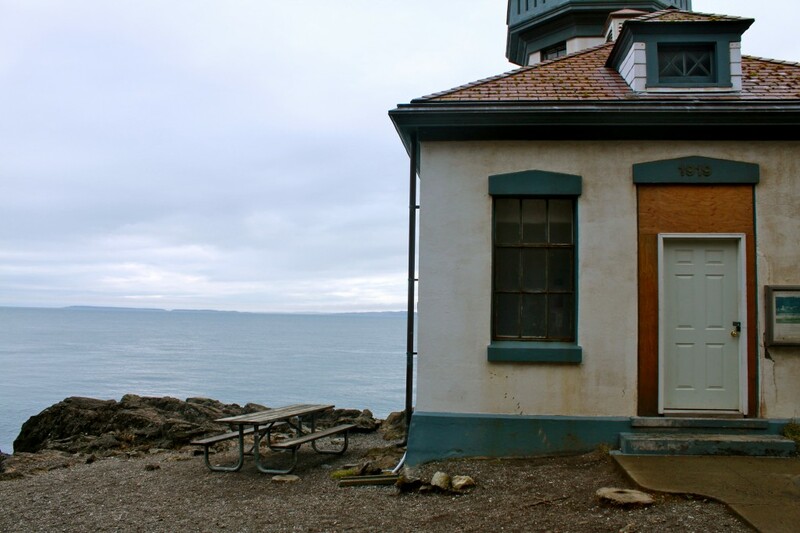 Lime Kiln Lighthouse has always held a magical charm for me. At first I admired the lighthouse from afar, back in my small hometown in Minnesota. I would look at pictures of this amazing, far off place and imagine what it would be like to see the tall, sleek, black dorsal fin of J1 cutting through the kelp beds just off the rocky shoreline. When I finally arrived at the lighthouse this past March for the Beam Reach course, it still felt as if it was a mythical place to me. But now, now that I have been in the San Juan Islands for over 10 weeks, the lighthouse feels like one of the only things that is still familiar to me now that the Beam Reach course is over. 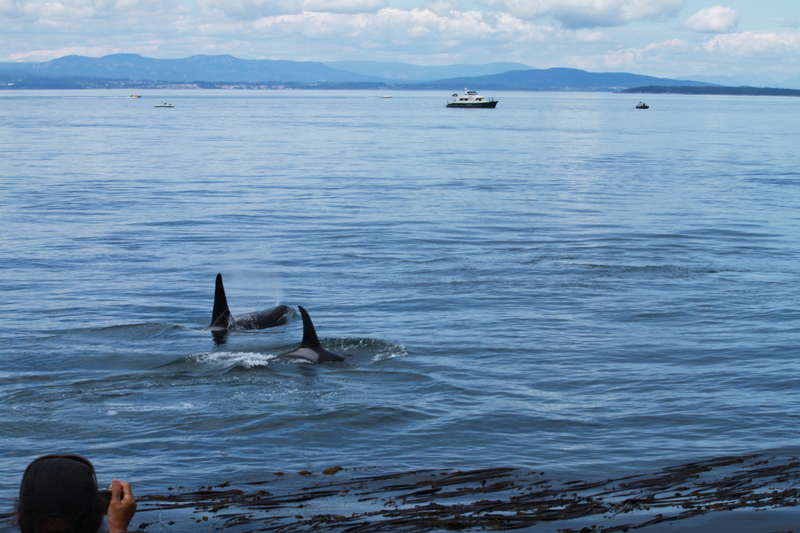 The thing that I looked forward too the most about my return was seeing the orcas again. 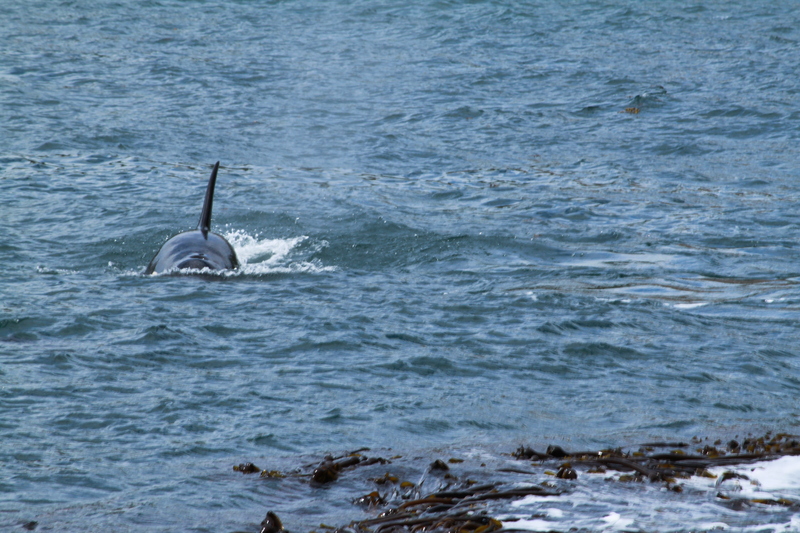 I couldn’t wait to have my first solo encounter with the whales at Lime Kiln, to me it seemed that once this happened, my summer would truly begin. Lucky for me, the Southern Residents were extremely cooperative and passed the Light my first day back! Members of J Pod swam passed the lighthouse within hours of my arrival. To me, it felt as if everything was just beginning, it was the start of a completely new chapter. Of course for J2 Granny, J8 Speiden, and the other members of J Pod it probably was just the usual passing in their West Side Route. Needless to say this encounter with the whales gave me inspiration, and I began to “set my sights” on the goals for summer time. 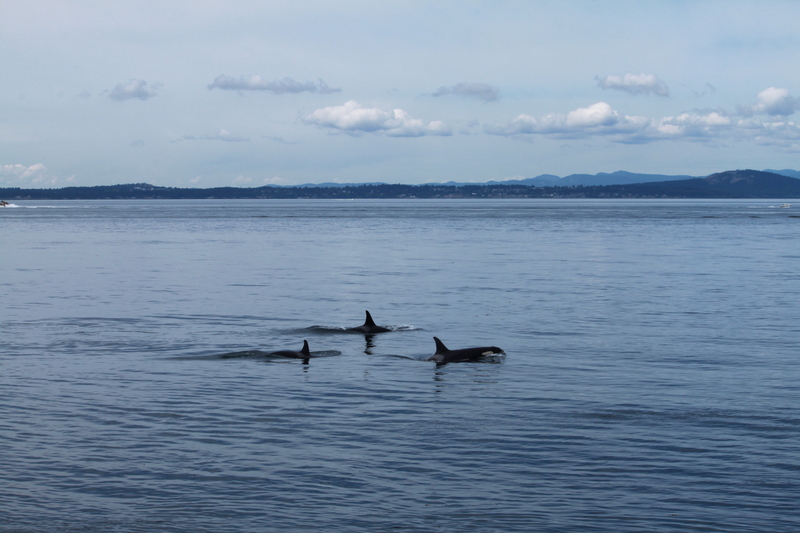 This summer I plan to study the Southern Resident Killer Whales as they pass Lime Kiln Lighthouse and observe their surface behaviors as well as their acoustic communications. I will also be monitoring underwater noise levels in the SRKW environment and looking for significant changes in their vocalizations. 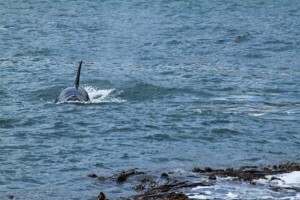 For a better idea of what I am listening too, check out the Orcasound Hydrophone Network at www.orcasound.net. Here you can listen the live streaming hydrophones at Lime Kiln and other various locations in the Salish Sea, check out the observations of other listeners, and log your own findings as well! Any and all observations that come from fellow listeners are helpful and exciting! 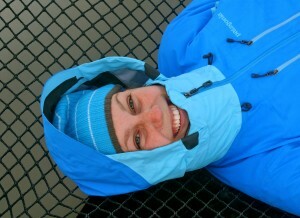 About the Blogger: Breanna Walker is a Beam Reach Spring 2012 Alumnus. Her project this past quarter focused on the potential effects that shipping traffic might have on Southern Resident Killer Whale echolocation. After such an amazing experience during the Beam Reach course and time in the San Juan Islands this spring, Breanna decided to prolong her stay for the entire summer. 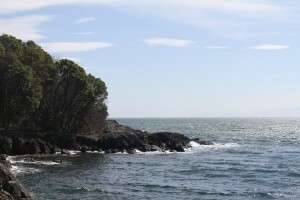 Collaborating with Scott Veirs and others in the SRKW Research Community, Breanna will be acting as the Beam Reach Intern, conducting more SRKW Acoustic research at Lime Kiln Lighthouse. Breanna is also working with The Whale Museum this summer as a naturalist, conducting educational outreach both at Lime Kiln Lighthouse and aboard the Washington State Ferries. 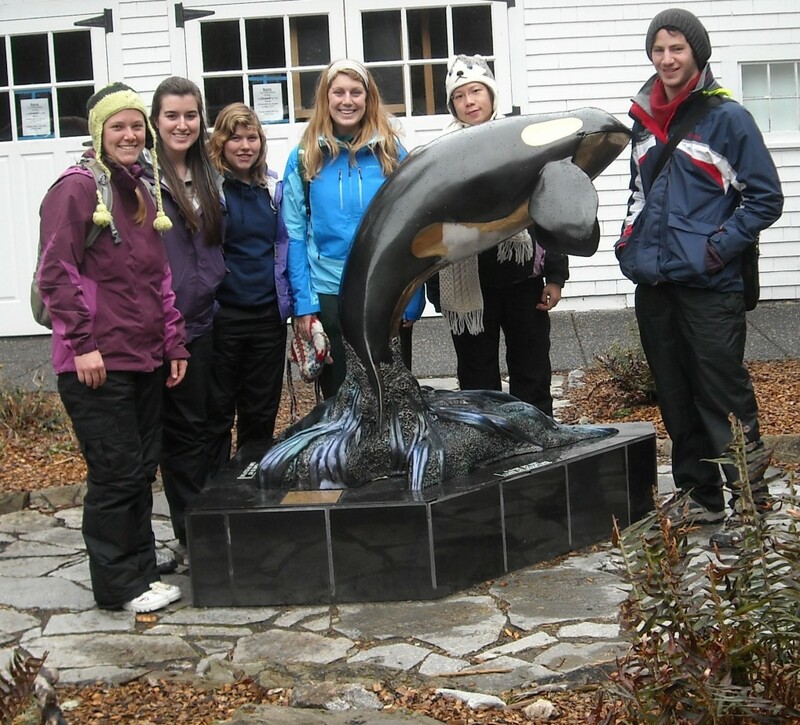 Breanna has a passion for the Southern Resident Killer Whales and the Salish Sea ecosystem. The only thing she enjoys more than watching the orcas is talking to others about them. 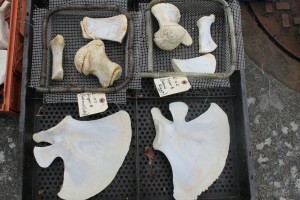 My first week back on the island I had the privilege to meet Albert Shepard, Curator at the Whale Museum. Albert is currently working on cleaning the bones of the recently deceased young female Southern Resident killer whale L112 (Sooke/Victoria) whose body washed up on the shores of Long Beach, WA this past February. I first learned of Sooke’s death just a few short days after the news broke. Ironically, I was in the midst of packing for the Beam Reach course. 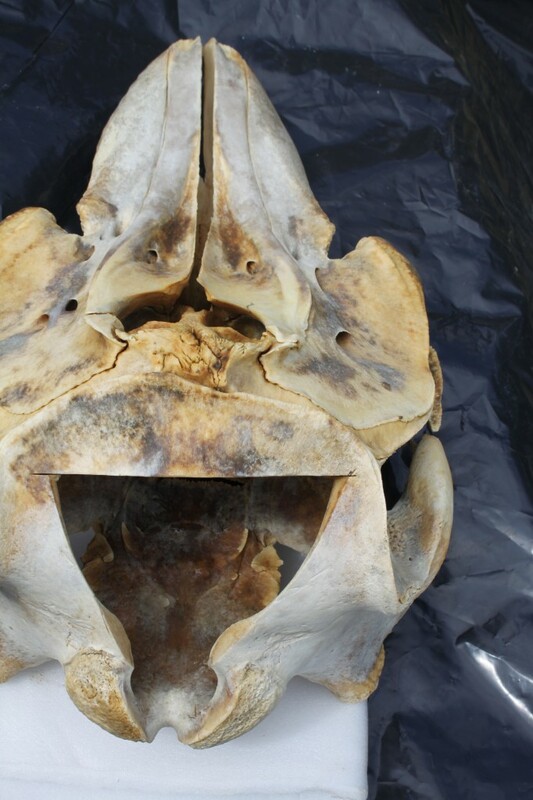 In the following weeks I read articles, watched necropsies, and thought about what could have possibly happened to this young, seemingly healthy whale. 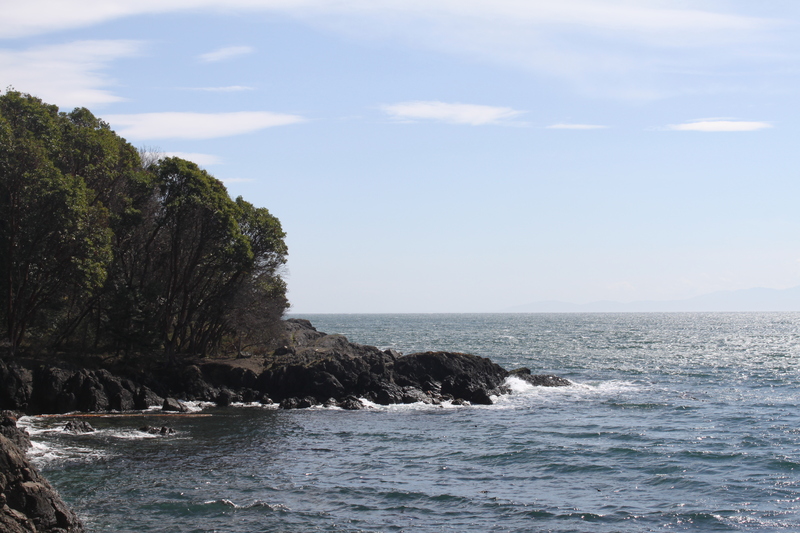 After arriving on San Juan Island in March for Beam Reach I learned a lot about the investigation into Sooke’s death. There are a number of theories out there as to the cause of death, but no one is really sure as to what happened to her. The last few months of thinking about Sooke and learning about her death were pulled together into a momentous experience when I was able to see her beautiful skeleton laying out in the sunshine at Friday Harbor Labs. Spending two afternoons with Albert, just looking at the pieces of the skeleton come together was incredible. I have been in love with orca whales since I was five years old, and seeing the structure of an orca — what gives it shape and strength and the ability to swim — was mind-boggling. I wish that I could let all of you have the same experience of admiring L112’s skeleton in all of its beauty, and someday hopefully you will get the chance. 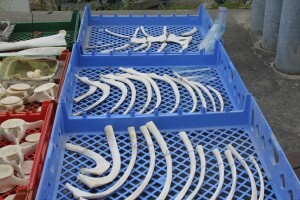 The Whale Museum is working on a display in memory of L112 that will include her skeleton. 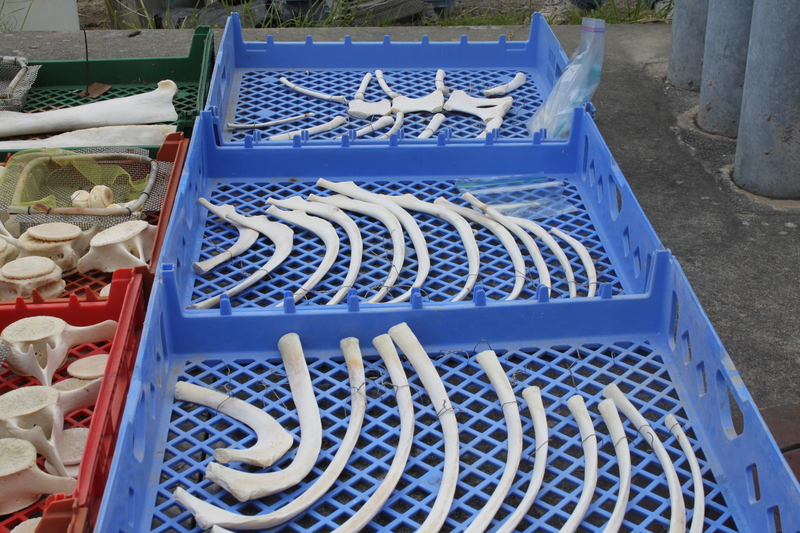 Until then, I hope these pictures will give you an idea of how beautiful and intricate Sooke’s skeletal structure really is. We did it! Beam Reach Class 121 survived almost four full weeks living aboard a catamaran, studying physical oceanography, underwater sounds, and the Southern Resident Killer Whales, and most importantly we did it together. Our experience wasn’t just any regular research field experience. 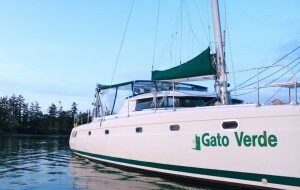 We were lucky enough to live aboard the Gato Verde, a glorious 42’ catamaran developed to be “Boat Green”. Not only was our living experience pretty plush for field researchers, but we also learned how to live sustainably on the water while conducting our own individual research projects. Although designing and conducting my own research project was academically challenging, living and working on the Gato proved to be a whole different kind of challenge. 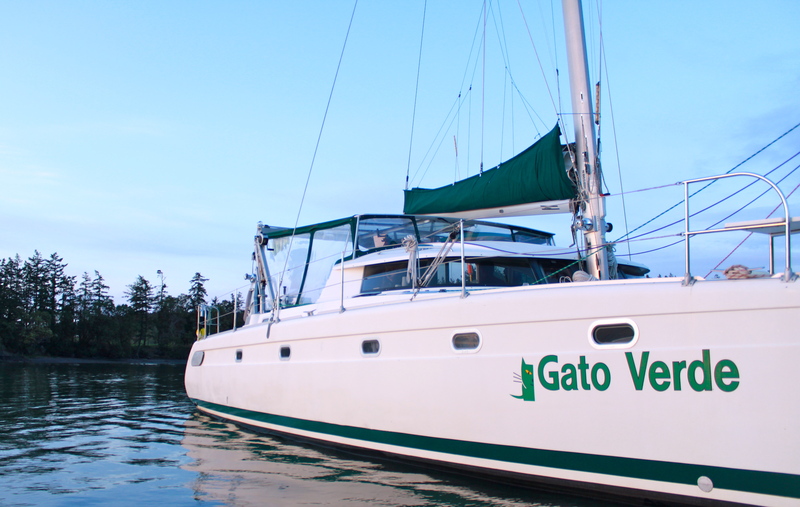 I learned to be very conscious of my own space and personal needs in a group dynamic, which I feel is one of the most valuable lessons I learned aboard the Gato. 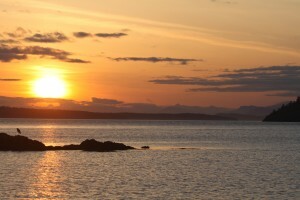 I also became very conscious of other things during our time at sea: my waste output as well as my classmate waste output; the state of the currents and tides at any given moment, our time on the water each and every day, and where all the good mooring spots are near Haro Strait. We monitored these various factors as well as other important boat factors every day before we planned our science activities during the daily morning meetings. Each day we were assigned different duties in terms of boat maintenance and preparation for the day ahead. The student assigned to “systems” each day was required to monitor the battery and biodiesel usage of the Gato as well as our water and sewage levels. These four things are all very important to keep track of to keep the Gato running efficiently and also to be aware of our environmental impact. Sewage, also known as “black water” is a huge environmental concern for oceanic boaters. We monitor our sewage levels daily to ensure that we never run out of room in our holding tank. Anaerobic bacteria dominate our black water system and it is vital to make sure we do not run into a scenario where we dump this black water into the oceanic environment. Part of living and, pooping, aboard a boat also means that you have to get all of the poop off of the boat, unless you want it to continue living with you, which wouldn’t be a pleasant experience for anyone. We were lucky enough to be able to “pump out” our sewage system three different times! When pumping out we usually had two students helping. A big hose with a suction cup at the end of it was attached to our sewage tank and then magic happens! Our waste, which now looks like brown, muddy water, begins to pump through this hose off of our boat. Although it sounds somewhat repulsive, it is actually kind of interesting. To make it easier on the students who were pumping out each time, we all took turns purchasing ice cream to share at the convenience store. Turns out that a little bit of ice cream made pumping out a favorite activity of Beam Reach class 121! To decrease our sewage output aboard the Gato, we attempted to use “shore heads”, or toilets on land, whenever they were available. This meant if we pulled up to a mooring site and there was dock space available, we always went for the dock space, just because we could use the shore heads instead of the heads aboard the Gato, which means more time between pump outs! We had at least a week of beautiful, warm, and sunny weather during our time on Gato, which we took full advantage of by swimming in the Salish Sea multiple times! However, the wind wasn’t always on our side which prevented us from doing a whole lot of sailing this spring. During our 4-day cruise up to Cherry Point Captain Todd wanted to teach us how to tack. Of course we were all thrilled to sail, and move efficiently on the water using the wind. Tacking, also known, as “coming about” is a pretty common sailing technique that utilizes the wind by essentially sailing into the wind. The bow of the boat is directed through the wind, allowing the boat to change the direction that the wind blows into the boat. We learned how to tack on both the port and starboard sides of the boat. Tacking is one of my favorite sailing techniques that we learned because it really allowed us to actively take part in the sailing. Sitting at the helm of the Gato was one of my favorite places to be, not only because it kept me from being sea sick all of the time, but also because I just love to drive boats. Manning the helm of the Gato was a really interesting experience, unlike driving any other boat. Being given the option of manually steering or using the autopilot function, I most always chose manual steering. It is a powerful feeling to be in charge of the direction of such a big vessel. As we pulled into Friday Harbor Labs for the last time, I felt an indescribable amount of emotions. I was relieved to have civilization, showers, Internet, warm food, all at my easy access, but somehow in such a short period of time I had grown accustom to life on the Gato. The small things that had at first posed challenges, such as waking up early, entering data on the boat, checking the navigational charts every hour, now felt apart of my every day life. The dock drew nearer as we were attaching the buoys to the boat with clove hitches, one last time. Once we were at the docks, we did a final set of bow and stern cleat hitches and began disembarking all of our personal and science gear. It was a bittersweet process, but rewarding on so many levels. The most difficult aspect of the Beam Reach program was learning to live with so many people in such a small and mobile space like the Gato Verde. Yet, it proved to be one of the most rewarding experiences of my academic career. Saying good by my instructors and fellow students has actually been harder than the course itself and I know that no matter what else has come of this program, I have gained an extended family of sorts…I will miss them all, and our home on the water, dearly this summer. Now Snug Harbor has a comfortable familiarity, like pulling into the driveway of the home you grew up in, but upon our first arrival it was just a place to anchor for the night… And then we saw our first Snug Harbor Sunset. Although the first sunset at Snug Harbor may not have been the most spectacular of sunsets, it was special to us because it was the first of many we would experience. 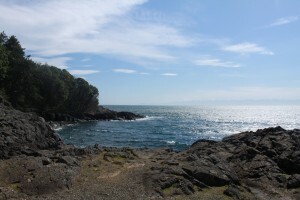 The West Side of San Juan Island has many magical characteristics, evergreen and deciduous forests that draw in your imagination, rocky cliffs dropping into the deep blue-green Haro Strait below, and of course the Southern Resident killer whales. All of these things I was expecting to encounter, but I never realized that I would be experiencing wondrous sunsets almost every night, and those sunsets became one of my favorite parts of cruising on the West Side of San Juan Island. On top of the sunset Snug Harbor provides great wildlife viewing. 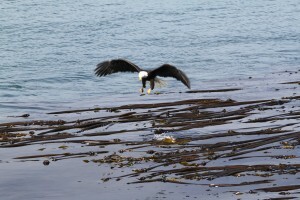 One morning before breakfast we noticed a majestic bald eagle perched on the rock at the edge of the harbor. The skies behind him were blue and clear enough to see the mountaintops of Vancouver Island. I have seen many eagles, back in Minnesota, and on the island this spring, but this eagle was its own entity. He sat there on his perch, not even realizing the perfect photo opportunity he was giving us all. The scene looked like something off of a postcard or out of a wildlife magazine. After an amazing first few days on the water and nights at Snug Harbor I look forward to the next couple of weeks. Boat life might be different and a little more difficult that life on land, but it is an adventure. Hopefully ours will include the Southern Residents soon! It is amazing how quickly a strange place full of unfamiliar faces can begin to feel like home. This experience only continues to get better. In class this past week we looked at ecosystems from the “bottom up”. In a brief description, this means that you study ecology from the bottom of the food chain up to the top, examining the ecological differences in tropic levels. Combining this newer topic while still emphasizing sustainability science, we discussed case studies that look at sustainable fisheries. My case study was “An ecosystem based approach for Alaska groundfish fisheries”. I found this particular paper to be especially interesting because it focuses on managing fisheries from the perspective of the ecosystem instead of focusing on the economic benefits. The Alaskan groundfish fisheries management is known for being progressive and fairly sustainable. The total annual catch has been at 2 million tones for the last 20 years, an impressive statistic. 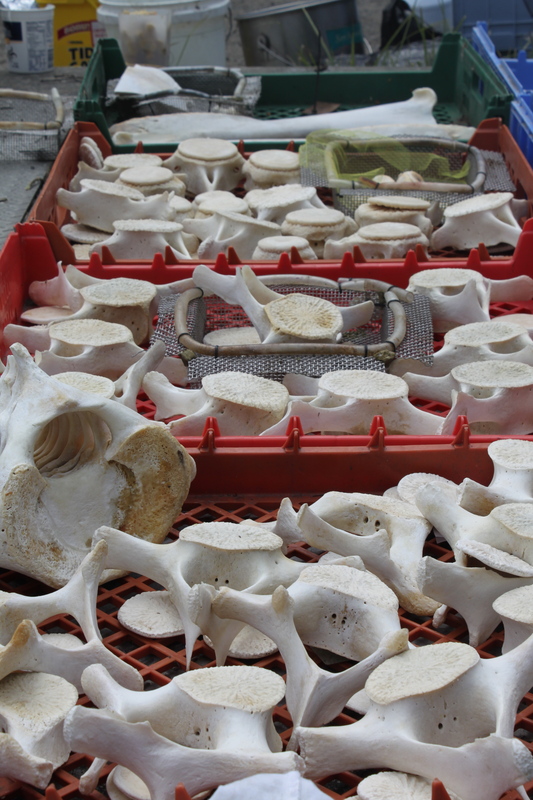 The National Pacific Fishery Management Council wanted to include all aspects into the management process including: public participation, scientific research, comprehensive monitoring, gear restrictions, habitat conservation areas, and more. Conservative catch limits are highly emphasized and the total annual catch is always less than what the environment can sustain. This is a cautionary approach to fisheries management. The two aspects of the management plan that was most impressed with were the Marine Protected Areas and the examination of Marine Mammals and Seabirds. The Marine Protected Areas allocate specific locations that are important to the ecosystem and ban fishing from these areas, or lower the catch limits. This approach also takes into consideration the fisheries impacts on marine mammals and seabirds. Lowering by-catch rates, and decreasing negative interactions between the animals and the fishing boats are two of the goals for this aspect of system. I found this “ecosystem” approach to fisheries to be interesting and insightful. One important thing that I took away from our discussion of this paper is that although the management reports appear to be purely positive, every system has its downfalls. conservation. We know that a lack of prey, specifically Chinook salmon, can have a huge impact on the population dynamics of the Southern Resident killer whales. Discussing a variety of fisheries management systems helped me have a better understanding of the current debates about salmon abundance and health here in the Pacific Northwest. Yesterday we were lucky enough to have beautiful weather again. We spent our day off adventuring to Lime Kiln lighthouse and found a wonderful view atop the kiln itself. I never know what to expect here, this place has a way of surprising you all the time, but I am loving every minute of this adventure. After a weekend filled of adventure and excitement I spent most of my Sunday relaxing, reading one of my new books that I found at the great used bookstore in Friday Harbor. Fittingly titled “Serendipity” this quaint little shop stole my heart with its book-filled walls, floors, and ceilings of every imaginable book genre. Despite the draw from the variety of sections, I somehow found myself hunkered down on a stool in front of a shelf full of books on my favorite subject…whales. Before discovering this gem of a shop, my Saturday morning started off with a misty row across the harbor into town. As a group, we wanted to spend our first Saturday adventuring around town together. This of course included visiting the one place we had wanted to go to all week, the Whale Museum. Finding myself wandering around the museum surrounded by hand painted whales swimming across the oceanic walls with the sounds of orca calls filling the air, it finally began to sank in. This experience that I have been dreaming about for years, is finally becoming a reality. I felt like a little kid again, bubbling with uncontainable excitement. That day spent exploring the town, as a group was great. We have already begun to make so many memories here on this enchanted island. The day granted me one more surprise when we ran into an old acquaintance of mine at the movie theatre, Captain Jim Maya. Captain Jim runs one of the local whale watch boats here on San Juan Island. He took my mom and I out whale watching about three years ago. 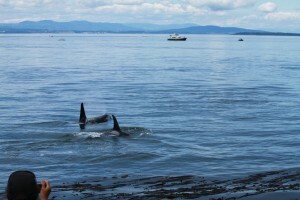 It was the first time I that I saw orcas in the wild, and I will never forget it. I very much attribute my participation in the Beam Reach program to that affirming experience. The phrase “it’s a small world” doesn’t justify our run in with Captain Jim. The sense of community on San Juan Island is incredibly strong. I have a feeling that we will only find ourselves getting more attached to the kind and interesting people that make the atmosphere of Friday Harbor irresistible. Every day I can sense that we are building ourselves a new type of community as a class, and meshing it with the existing one of Friday Harbor. My favorite aspect of the Beam Reach Program is the continuance of my education; we never stop learning, even our break times are filled with academic discussions and inquiries. The other beautiful part of this program is the power the individual student is given to create our own education. Although the resident orca whales intrigue all of us, we also have unique interests outside of the Beam Reach course. Providing us with an opportunity to share those interests with the class, our assignments often ask us to choose journal articles for group discussion. The common thread among all of the articles being that they involve or discuss the practice of sustainable science. When thinking about a case study that I was personally interested in learning about, I instantly thought of Nepal and my hopes to travel there next spring to study community forestry and sustainability. Fittingly, the paper that I chose to discuss with the class is “Capital Formation and Community Forestry in Nepal”. 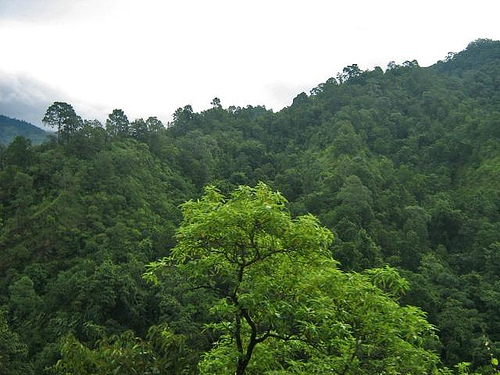 Community forestry in Nepal has become a vital thread of sustainability and environmental conservation. This paper examined the role that capital formation plays in the community forestry process. 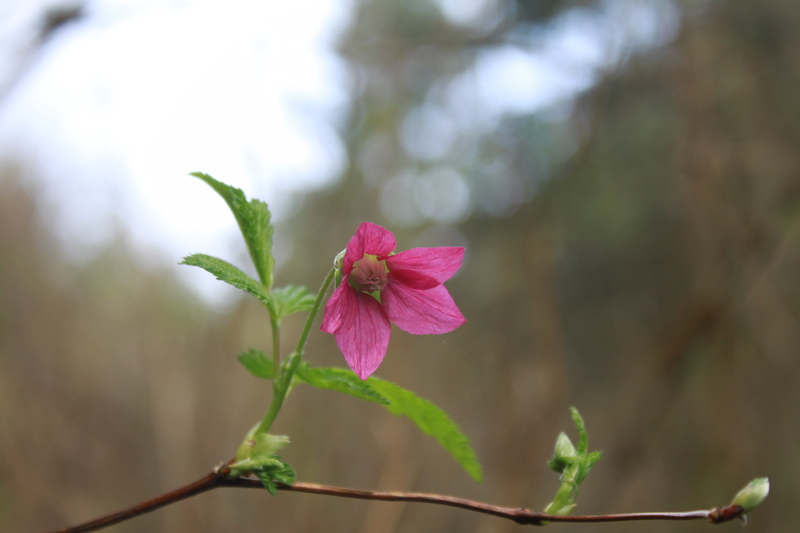 Specifically, it looked into what characteristics determine the success of a Forest User Group, the title of the community forestry groups, what the generated capital is used for, and the affect this has on the community’s views of the forestry system. What the study found was that the management of their sales, and the type of forest they were managing determined the success of a Forest User Group. In almost all examined cases, the generated capital was primarily used to benefit the community in education. Overall, a positive change in attitude towards the system of community forestry was also demonstrated. I feel the paper really demonstrates that giving power and responsibility of the local environment to the community that it affects results in benefits for the community, as well as improved conservation of the environment. I feel that community management methods are incredibly sustainable, and although the transition period may be difficult if they are given the proper skills, the outcome will outweigh any costs. Reading about the success of community resource management in Nepal got me thinking about community resource management in the San Juan Islands. This community cares a great deal about the local environment and the ecosystems that keep it pristine. I can’t help but wonder what the state of the herring, salmon, orca, and other marine animals would be if community resource management were implemented. Would they be in a better or worse state than they are today? It is hard to say, but I hope to think about this more as the weeks progress. The week ahead promises more mind expansion with multiple guest scientists visiting and lots of afternoons spent out at Lime Kiln Lighthouse.